Laurel M. Sturt offers one teacher’s perspective–no holds barred–on the challenges facing high-needs schools and who ends up benefitting from a broken system. JUST SELECTED AS ASSIGNED READING IN TWO MAJOR UNIVERSITY CLASSES THIS SEMESTER! Three and a quarter million incompetent public school teachers are responsible for wrecking the futures of America’s kids, as well as the nation’s decline. Roving bands of educators, flush with job protections and inflated pensions, have been on a rampage, mugging Girl Scouts, defrauding old ladies and pushing the blind into traffic. Indeed these evil-doers, along with other unionized workers, have caused the current economic crisis! In fact, Googling “teacher-bashing” these days yields a whopping 7,110,000 results; the woeful global academic rankings of our kids have stoked the obsession with America’s decline in the world. DAVONTE’S INFERNO is an unflinching study of the crisis confronting teachers as well as a searing indictment of the system. Take that, Michelle Rhee! Calling on policy, research, humor and a generous serving of snark, in this cutting edge memoir irreverent Laurel M. Sturt pulls no punches detailing her bizarre life in the trenches teaching in a high-needs elementary school in the Bronx. 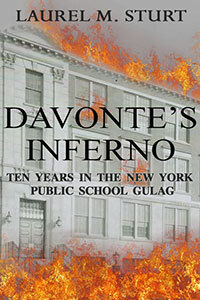 Unlike anything published–a mix of personal experience, policy investigation and critique–DAVONTE’S INFERNO is a refreshing respite from the hackneyed trope of teacher vs. ghetto (for once, no insulin injection is required), tracing Sturt’s trajectory from buoyant idealism to enlightened indignation. 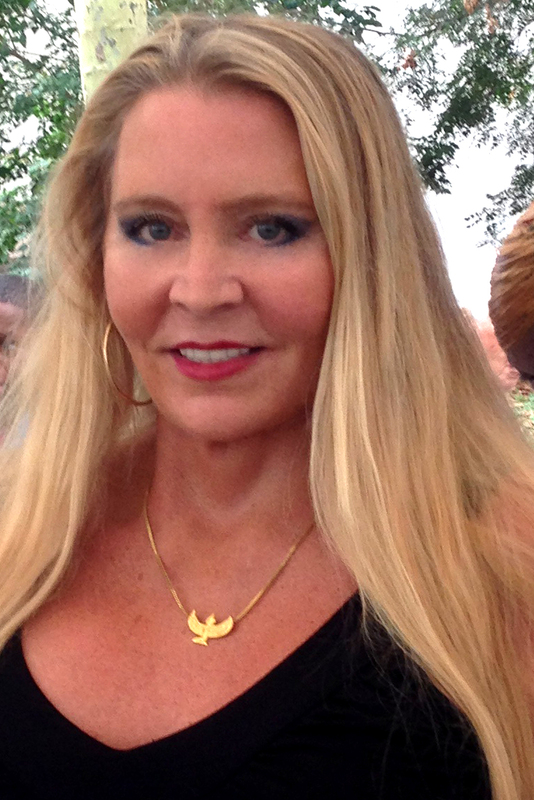 Intent on making social activism her full-time pursuit, in 2002 Sturt becomes a NYC Teaching Fellow just as the draconian mandates of No Child Left Behind and Bloomberg’s mayoral control of the school system kick in. The exotic Bronx is light years from Sturt’s tony background and lifestyle, the thirty minute commute a cultural whiplash bookending the harsh daily grind in a high-needs elementary school; the shockingly poor environment seems more at home in the Third World than in the backyard of “The Greatest City in the World.” With scant summer training Sturt undergoes a baptism by fire, a crash tutorial in a Darwinian scramble of disturbed students, administrators and parents. Oppressed by the constant threat of authoritarian federal mandates emphasizing “accountability,” along with Bloomberg’s micromanagement of instruction, Sturt mourns the destruction of joyful, creative teaching in favor of stilted pedagogy and high-stakes testing. DAVONTE’S INFERNO documents a tragic decade in which authentic education is preempted by pretense, while misguided policies purported to end the achievement gap, fail. The feral kids in this Potemkin Village standing in for a school aren’t the sole challenge: the four successive megalomaniacal principals prove even more formidable. Sturt braves attacks from each, an art teacher bereft of morale or supplies–her love for the kids keeps bringing her back. Meanwhile, all suffer from the suffocating directives: for the teachers, it’s the dictatorial principals and paroxysm of paperwork; for the students, the erstwhile ennui of perpetual test-prep. DAVONTE’S INFERNO paints a compelling portrait of the uphill battle teachers in poor communities–now more than ever–face. Sturt trains an unflinching eye on the crisis confronting today’s educators, delivering a scathing indictment of pretentious educational reform clearly increasingly driven by a mercenary agenda to privatize a system worth billions. Going forward, the hollow expedients of empty slogans and teacher scapegoating need to make way for genuine education reform which addresses the true villain–poverty–while learning from top educational systems like Finland’s. Sturt charges parents and educators to organize at the grassroots level to fight for this civil rights issue of our time–the right to a decent education–coalescing around proven non-negotiables: quality teacher preparation, universal pre-kindergarten, community schools with wraparound services, a rich curriculum free from high-stakes testing, and the socioeconomic integration of schools. By refusing an apartheid in which the one percent and the ninety-nine percent receive vastly different educations, community by community we can drive back the privatizers, restoring the “public” to a system committed to all. DAVONTE’S INFERNO IS AVAILABLE NOW.